There are tens of thousands of podcasts out there. Some estimate there are as many as 180,000 active podcasts available for download.. It’s hard to count. But given that there were 46 million podcast downloads last year, they are certainly a thing. At least, they are for the English speaking world. But what about everyone else? That’s what creator Gisele Regatao wants to tackle with Celestial Blood, one of the first ever podcasts downloadable in both English and Spanish. “I really wanted to develop something specifically for Hispanics,” Regatao told ELLE.com over the phone. “There are so many podcasts already, but a lot of them are very similar. 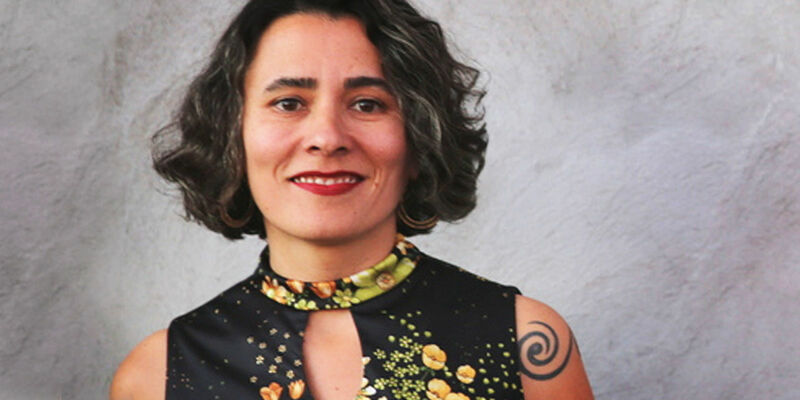 A lot of them are with white men bantering.” Regatao, who is originally from Brazil, has been working in public radio for nearly 15 years, at both WNYC and KCRW, and after a while, the uniformity of what was being produced got to her. While it now seems like everyone and their recent-convert-to-Democratic-Socialism brother has a podcast, it’s easy to forget that it’s still a relatively new medium. Podcasting has only been around for about 15 years, and for a long time was used mostly by existing radio programs to reach people who wanted to listen to their shows at different times. It wasn’t until Serial took off in 2014 that podcasts started to find success among listeners who weren’t already tuned in to public radio or the internet. Regatao notes that one of the great things about podcasting is its potential to be a very democratic art form. However, the demographics of podcasts are still overwhelmingly white, male, and English-speaking—largely because that’s what media looks like. And while anyone can simply make their own podcast with just a laptop, it’s hard to get people to listen. The predominantly English podcasting world also sets up a chicken-and-egg problem: Not many non-English speakers are familiar with the medium, and there aren’t many podcasts out there for them to get into. “It’s going to take a while for it to develop in Spanish—not just for the audience here, but all over the world,” Regatao said. “All my friends, everybody has a smartphone and is very mobile, but they’re confused about what a podcast is.” So she set out to make something that could introduce English speakers to Hispanic culture, and introduce Hispanics to podcasting.